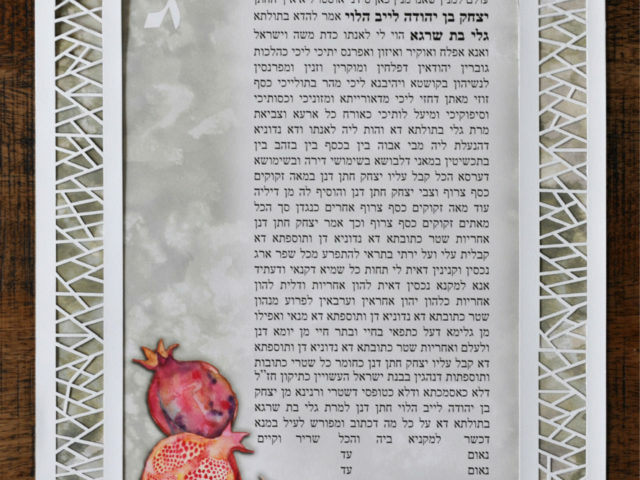 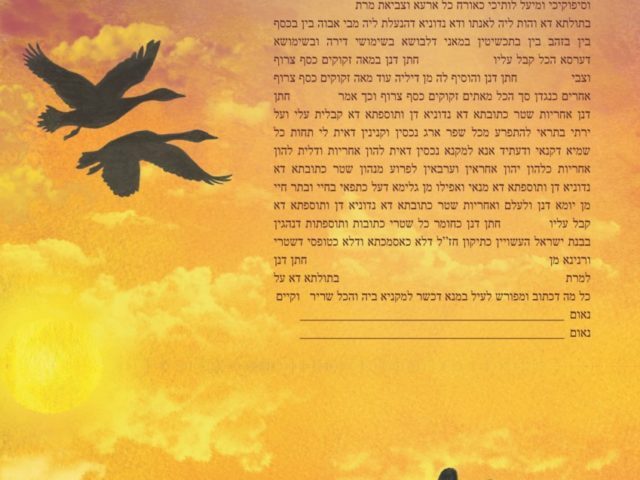 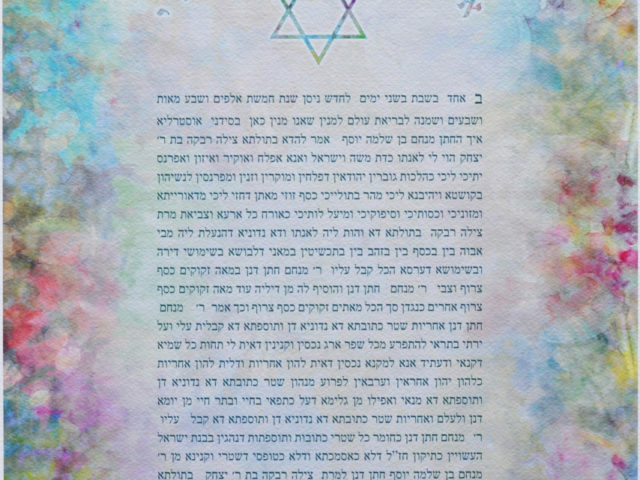 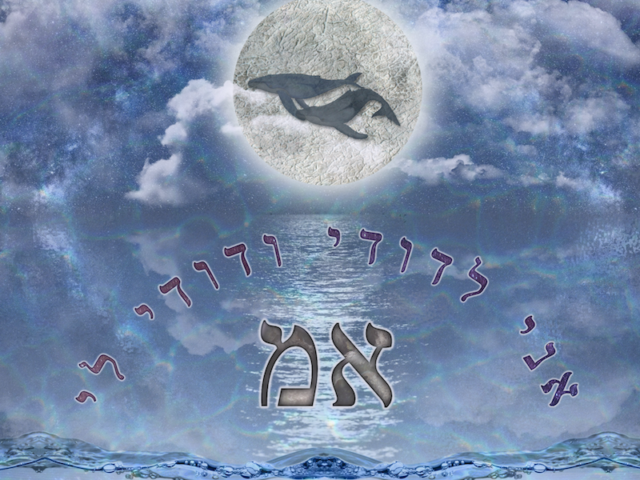 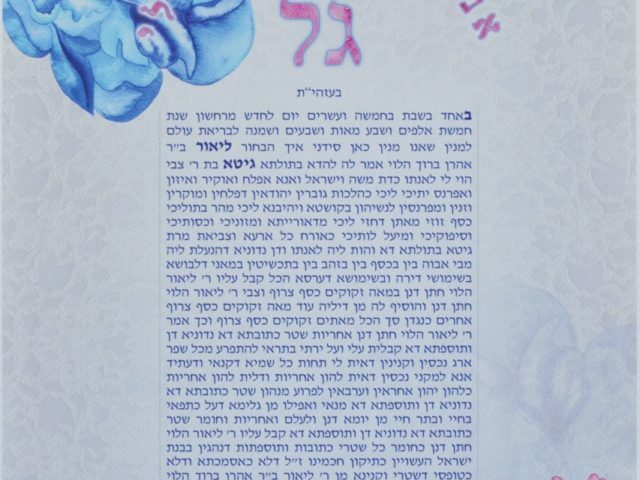 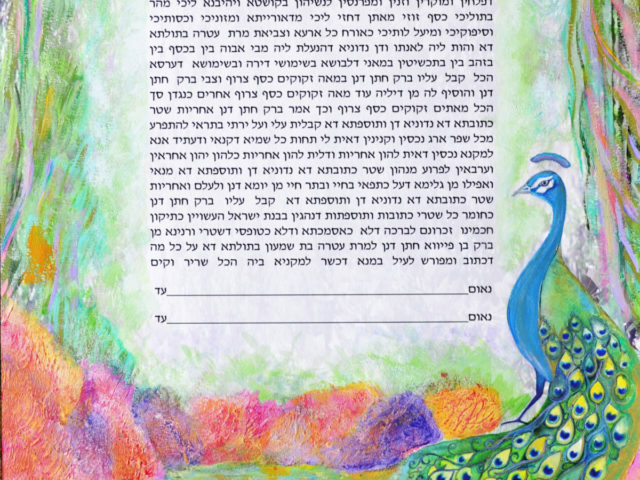 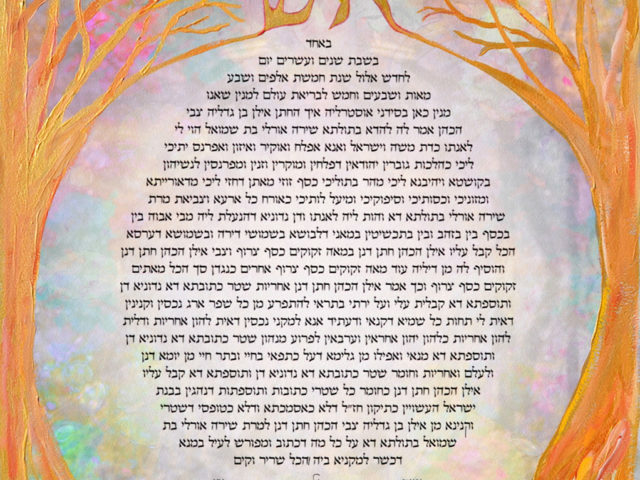 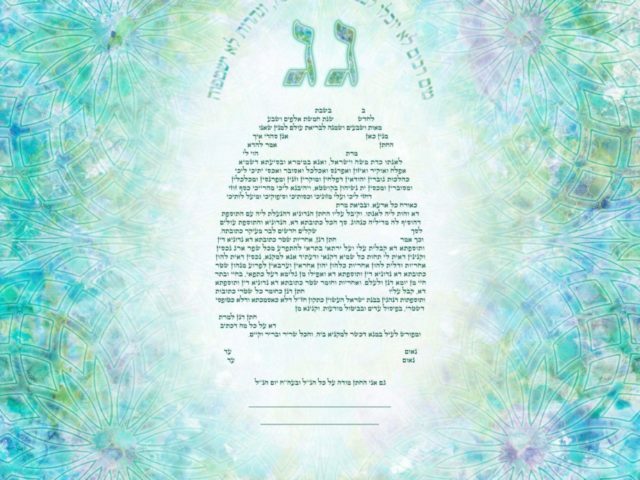 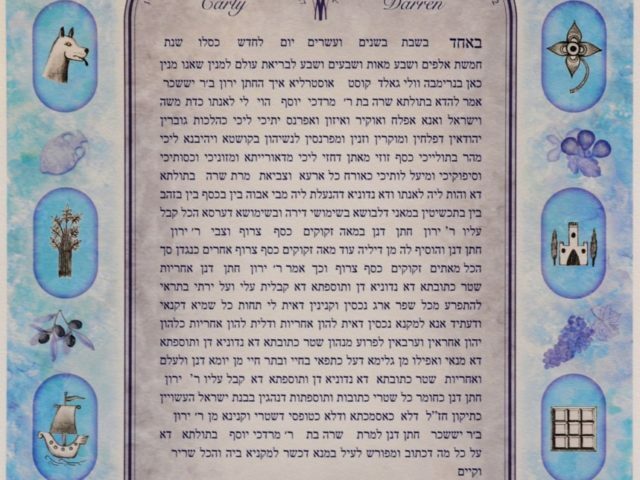 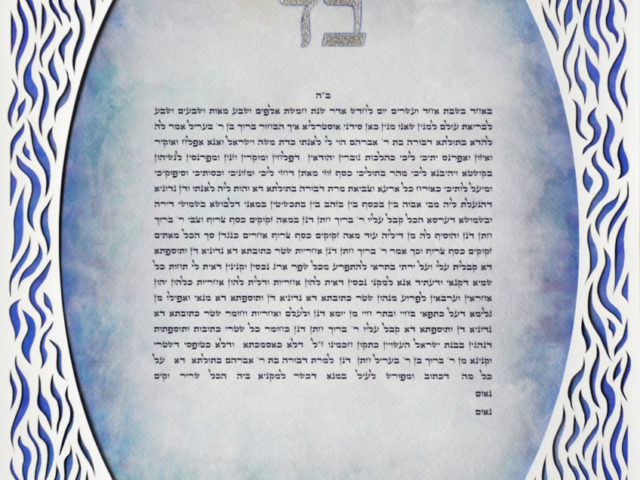 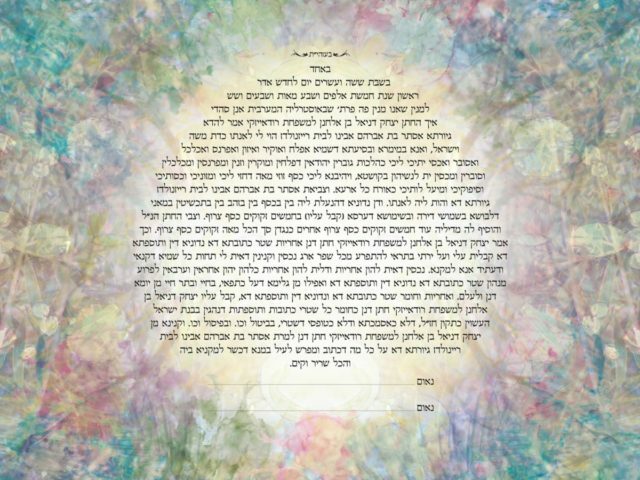 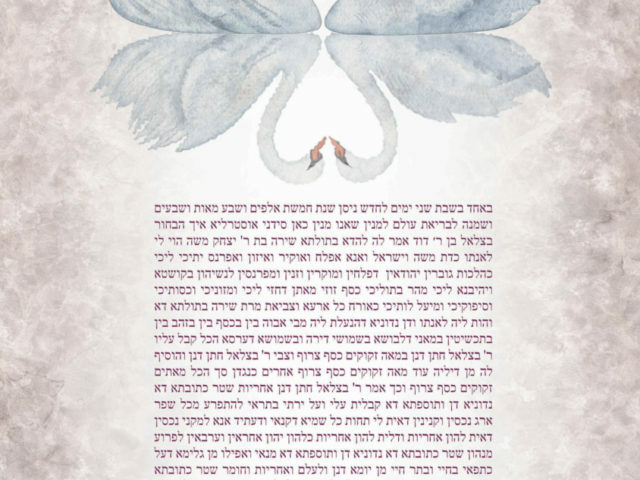 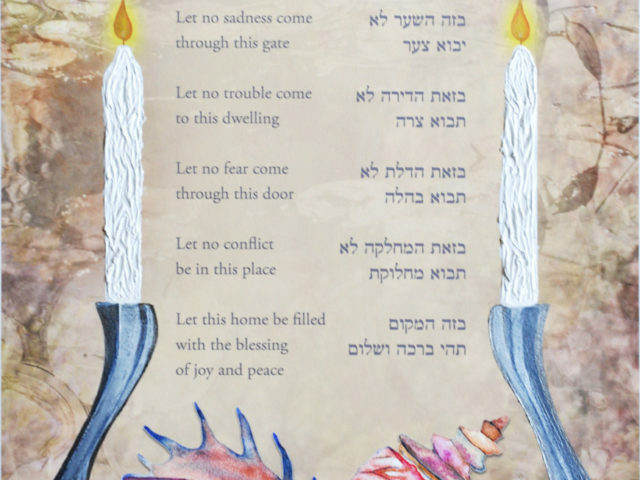 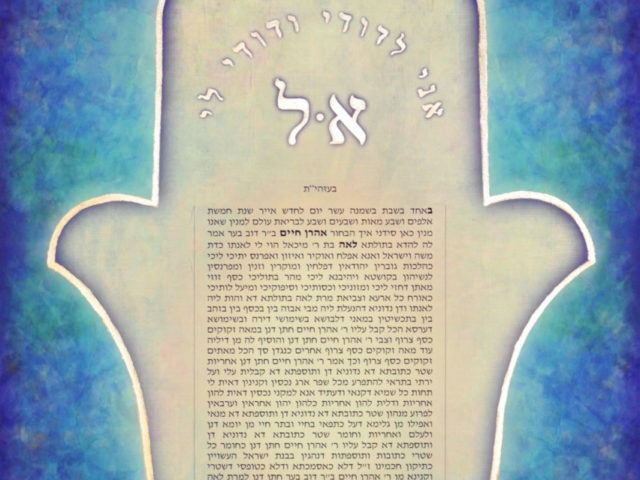 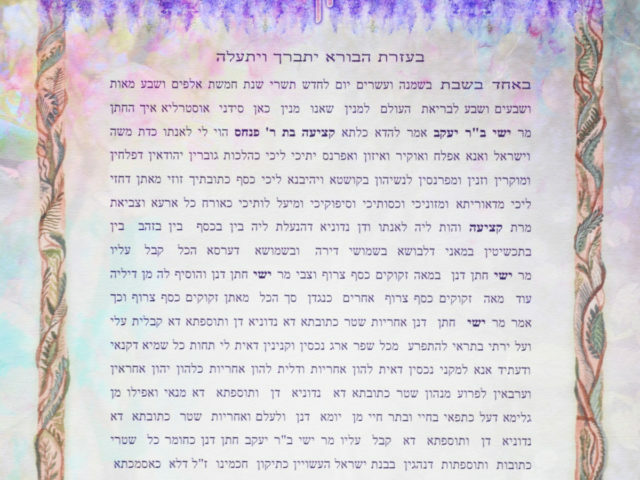 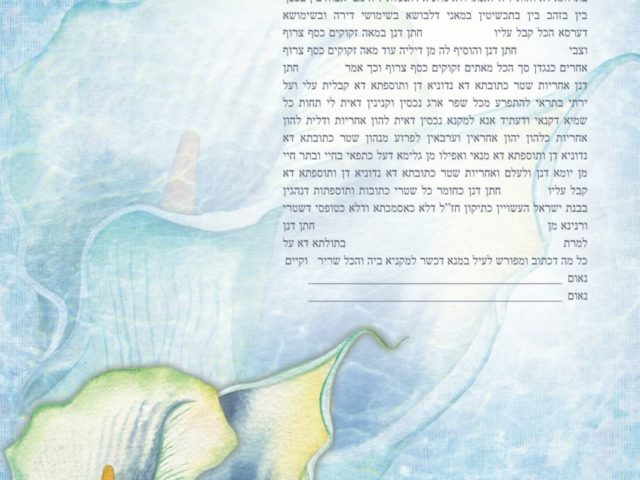 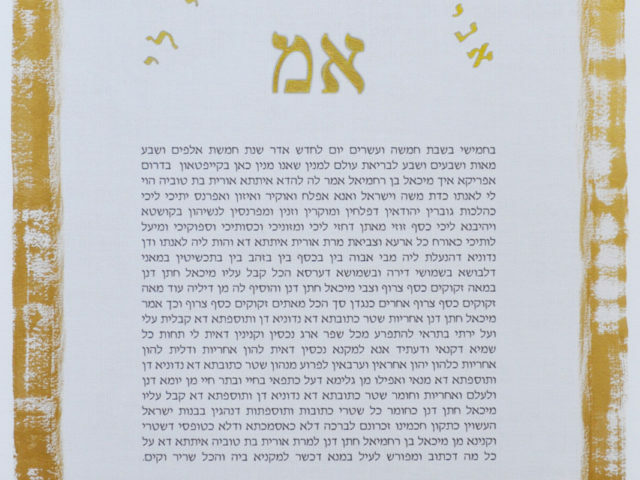 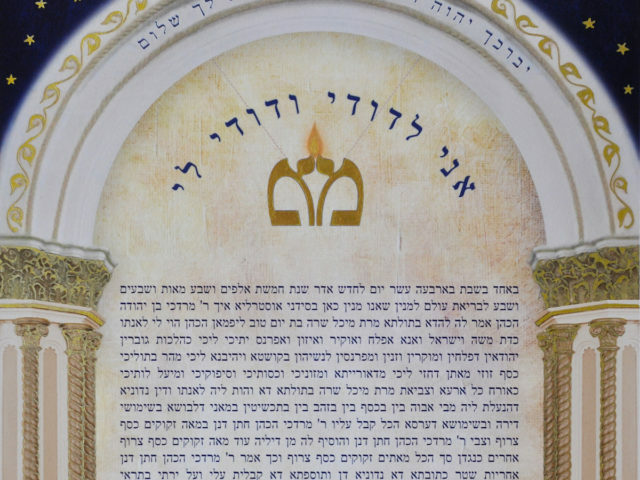 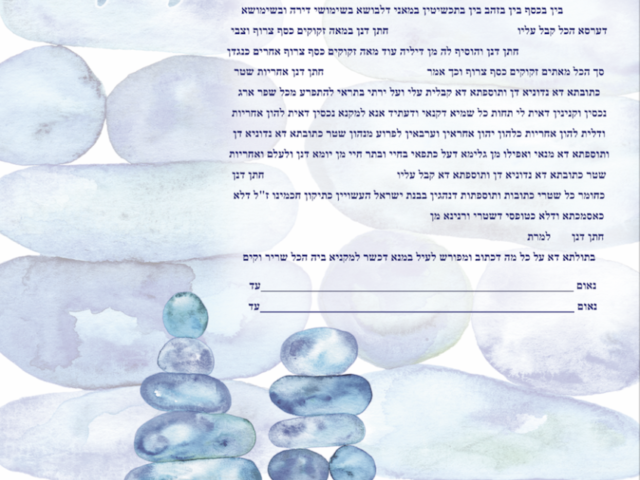 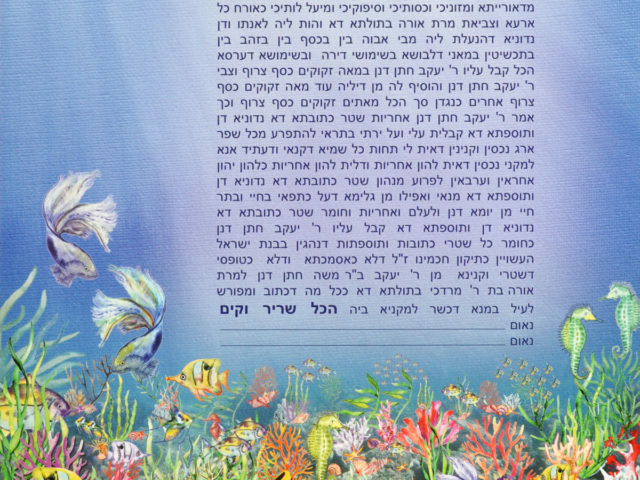 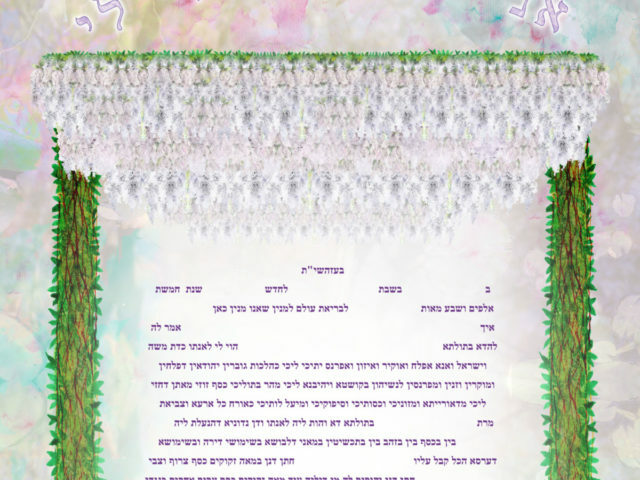 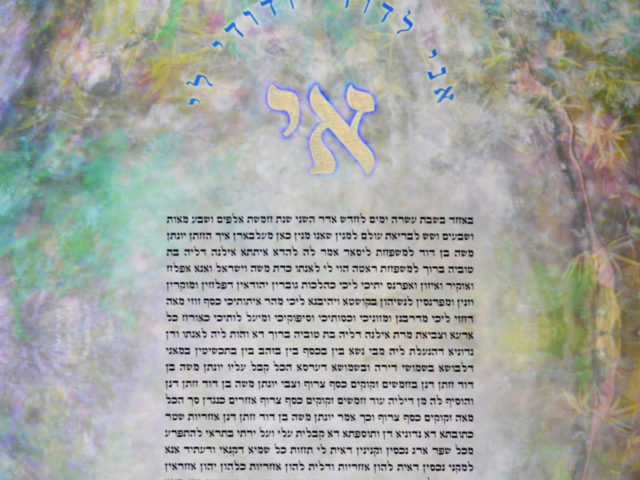 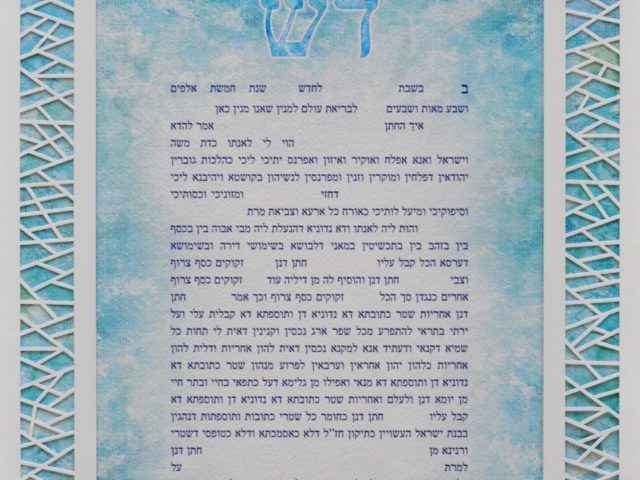 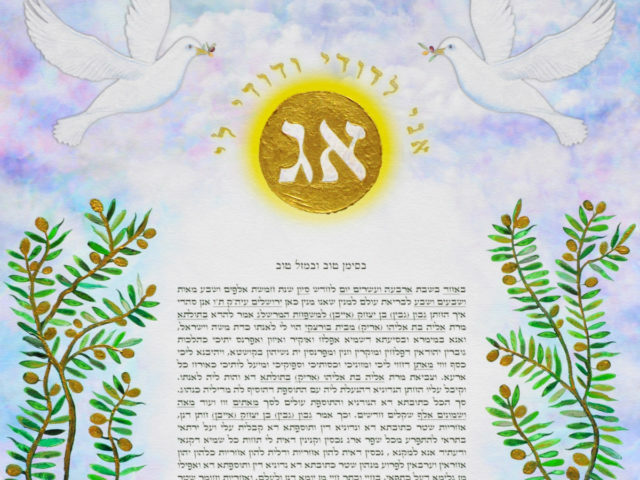 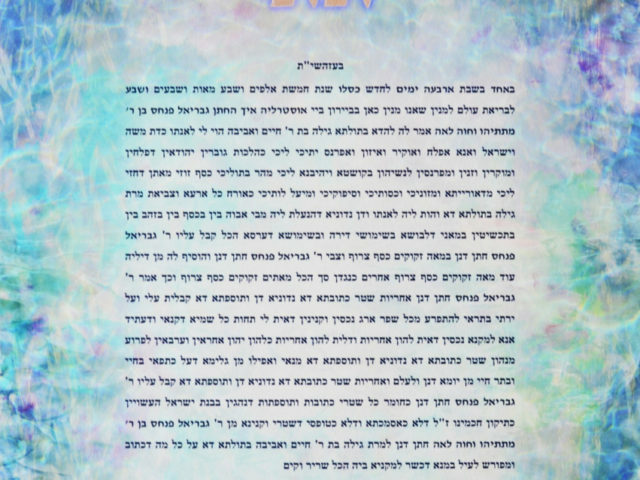 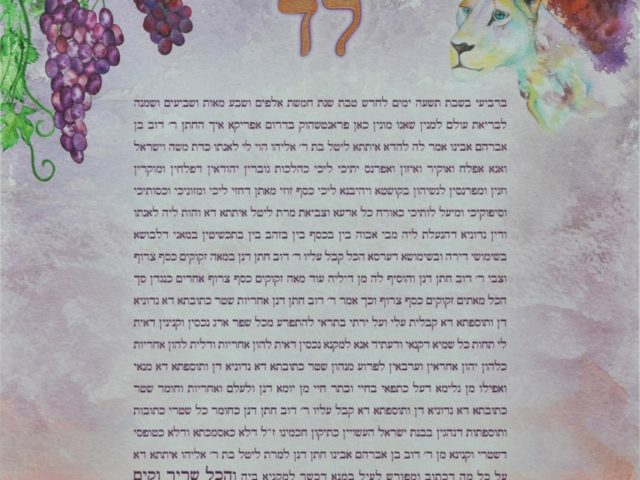 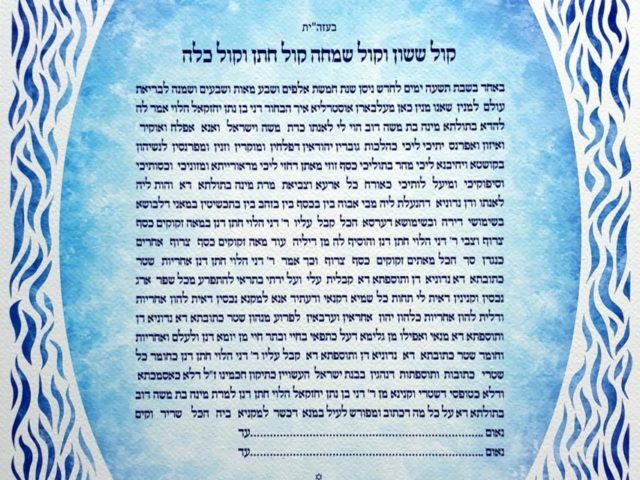 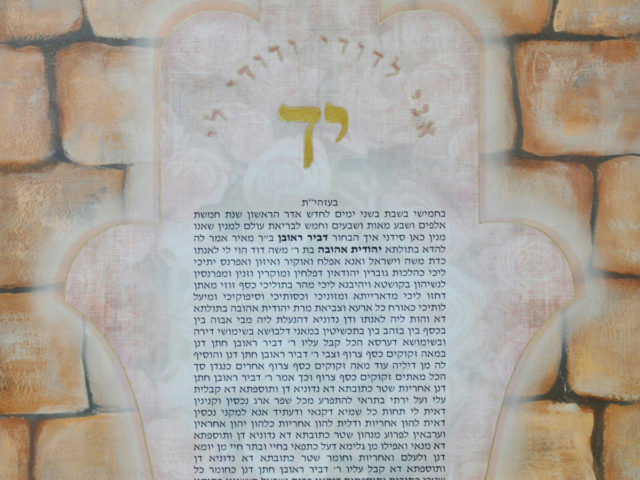 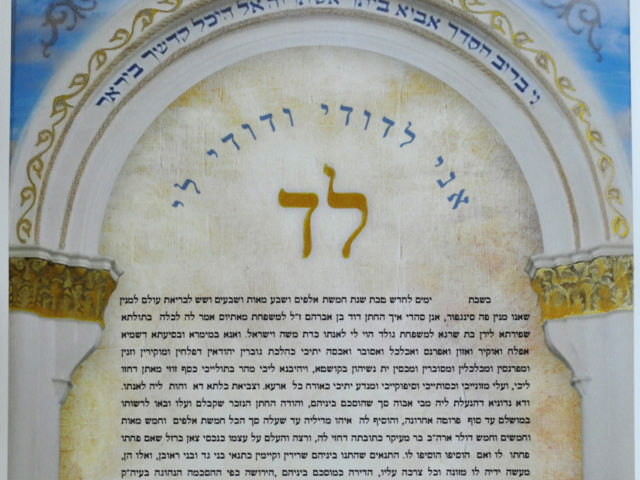 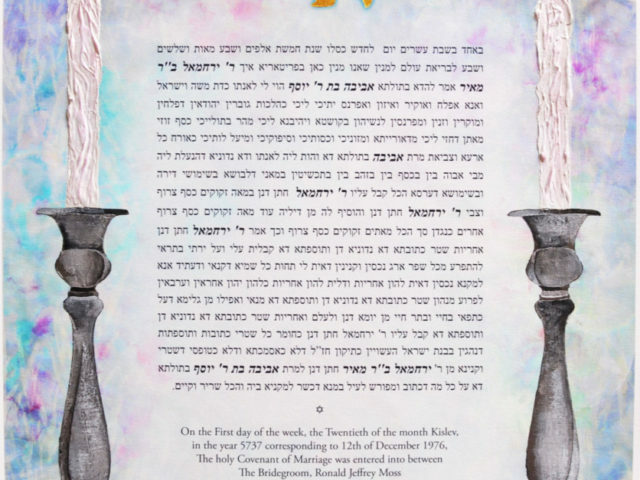 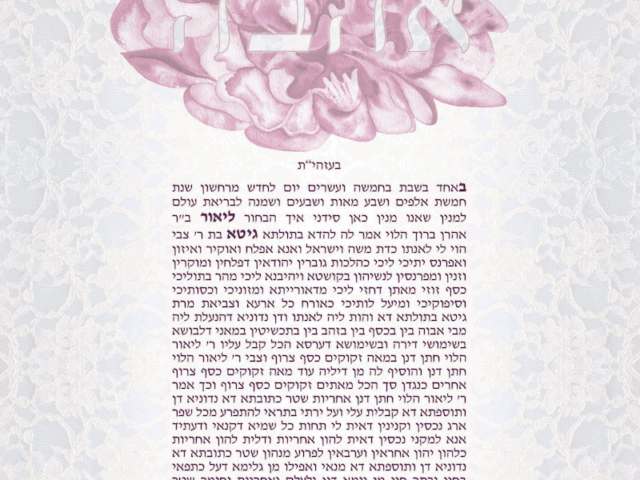 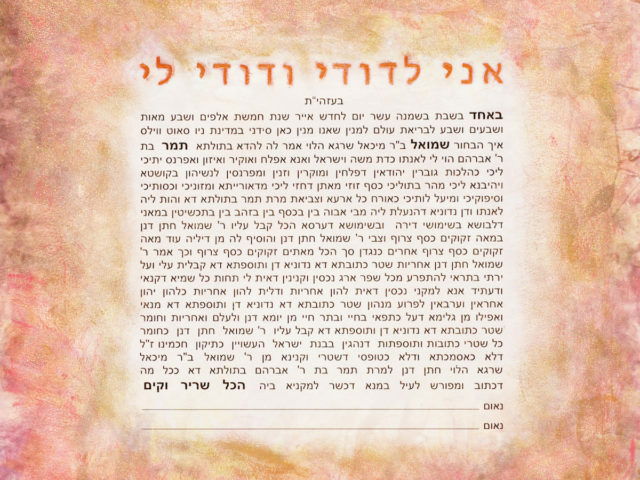 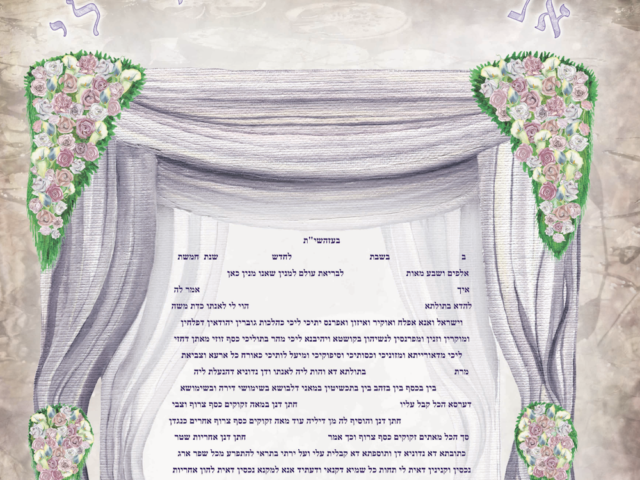 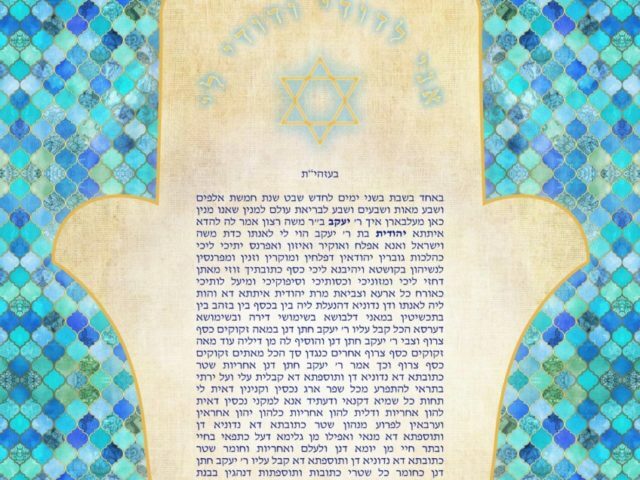 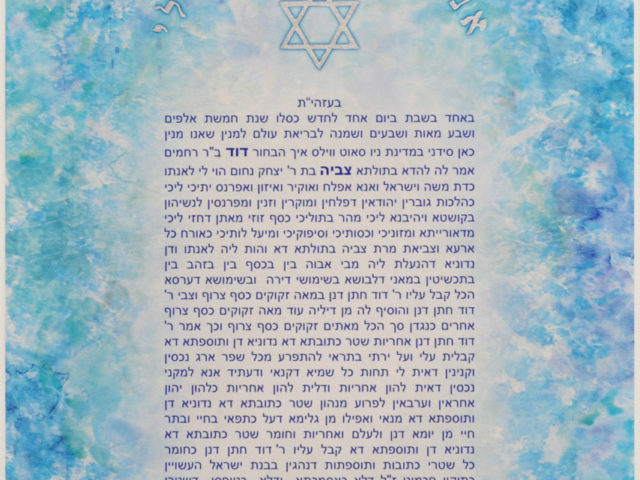 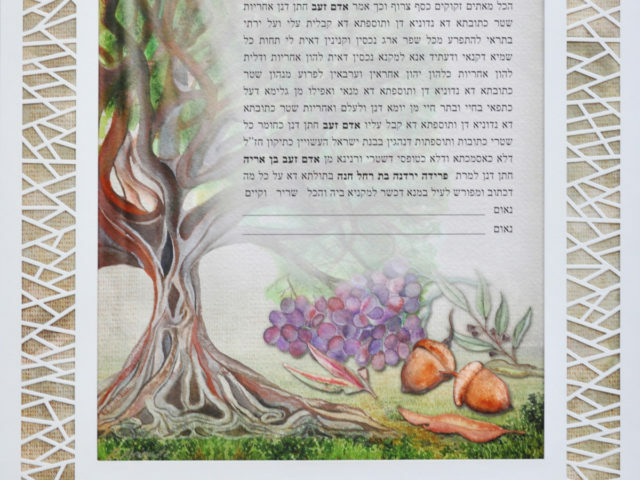 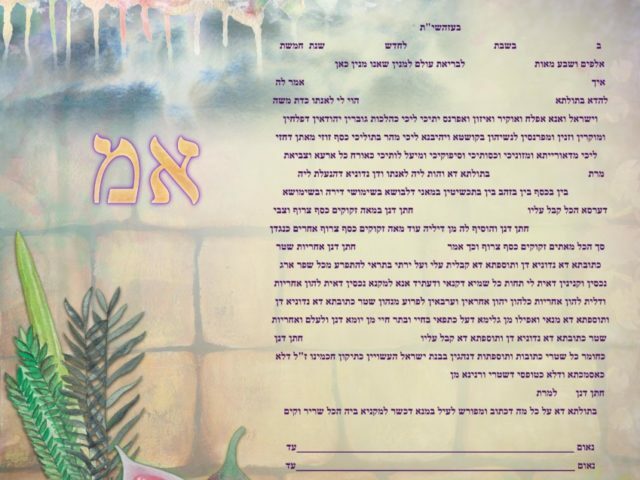 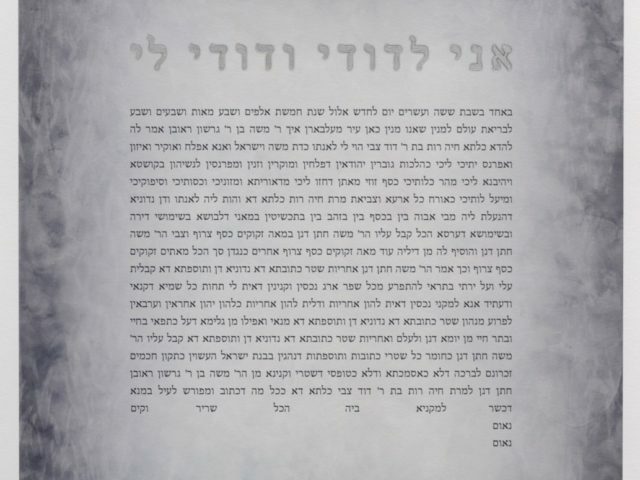 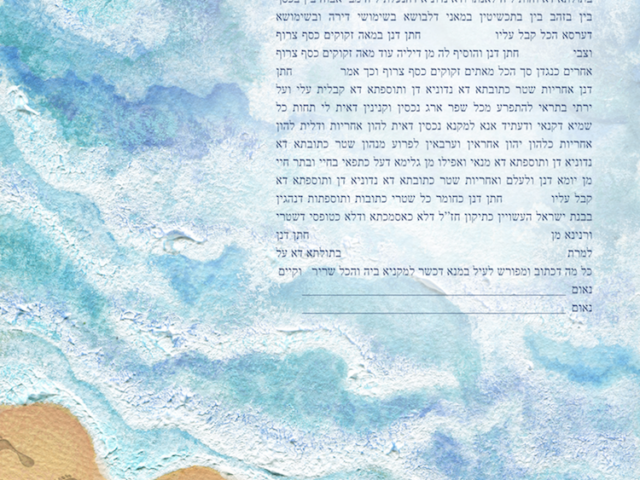 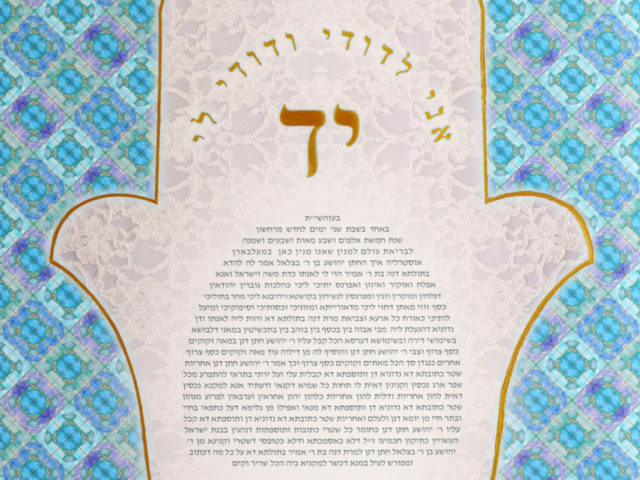 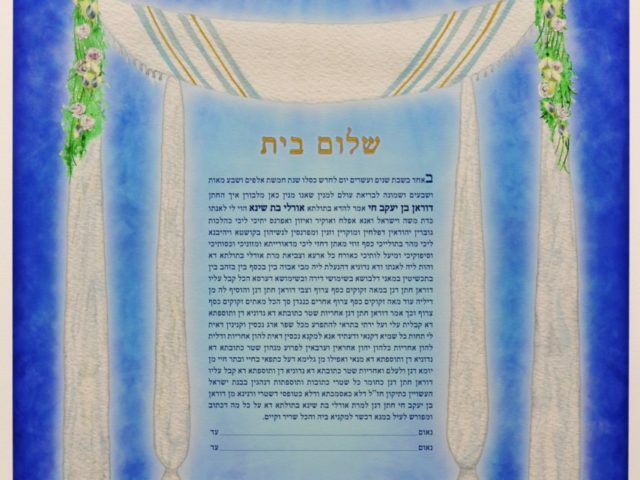 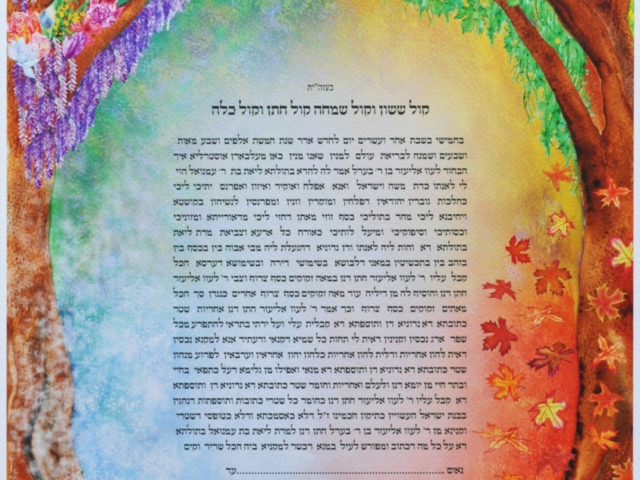 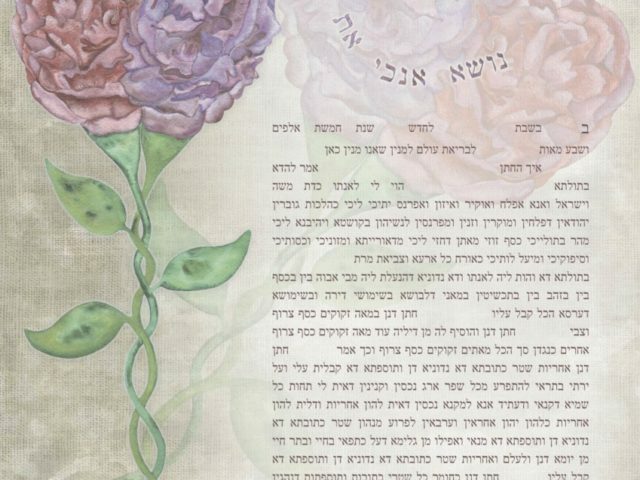 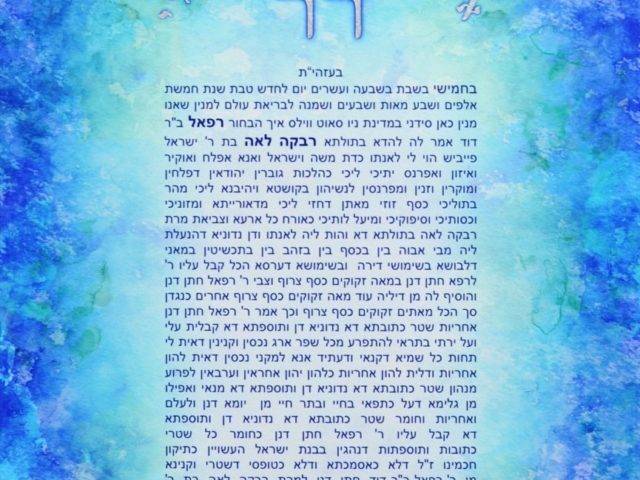 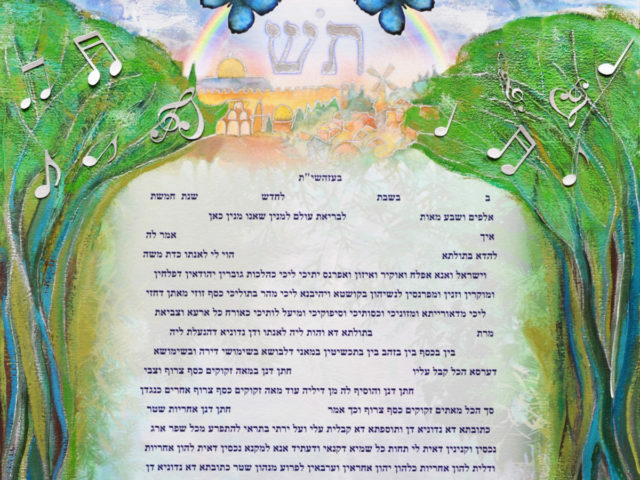 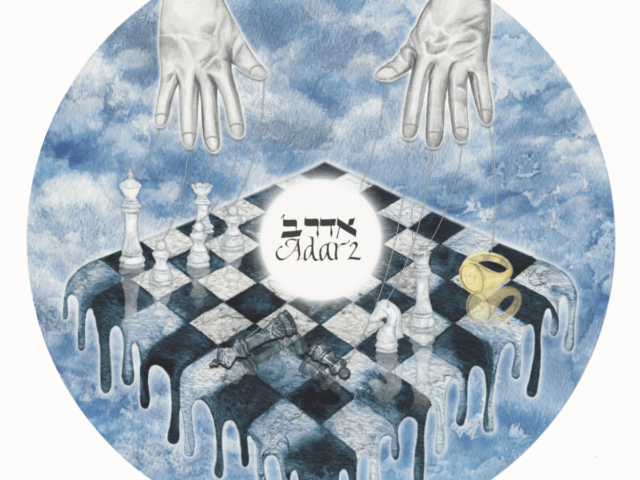 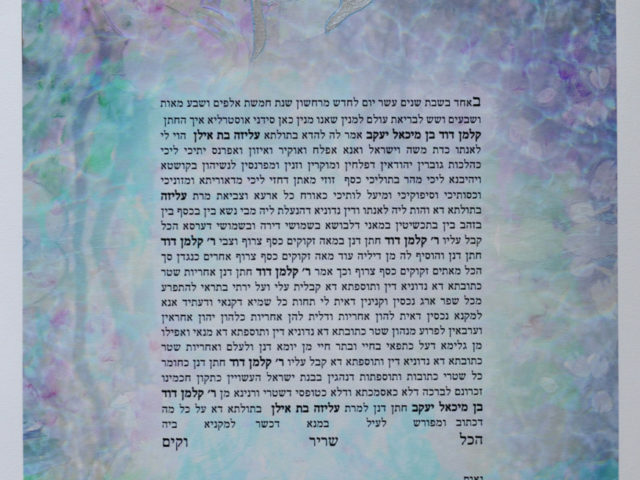 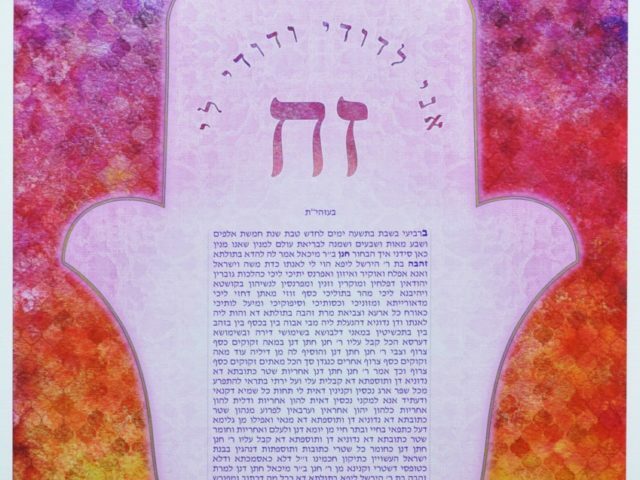 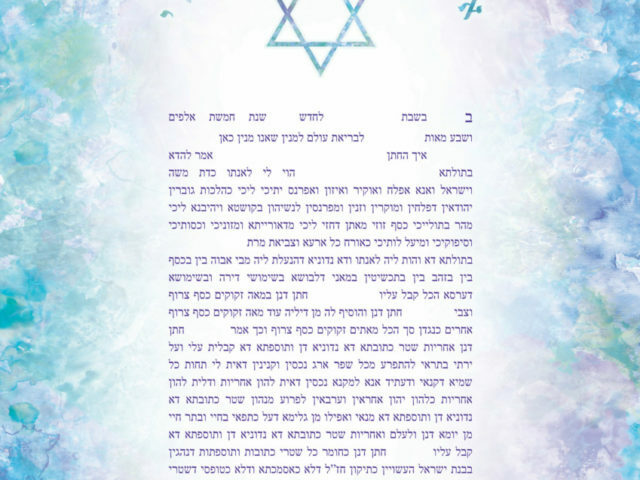 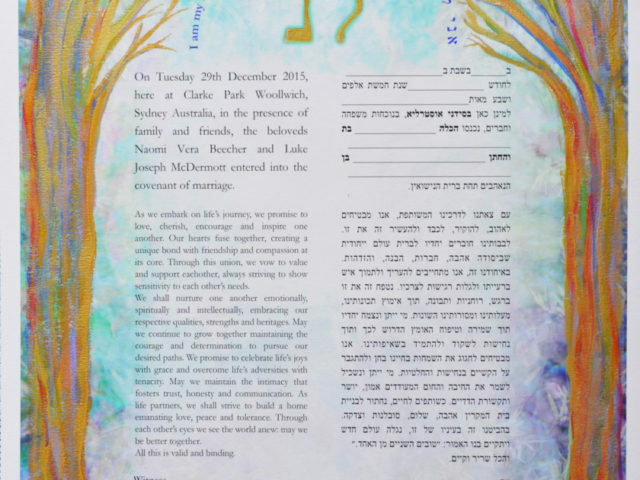 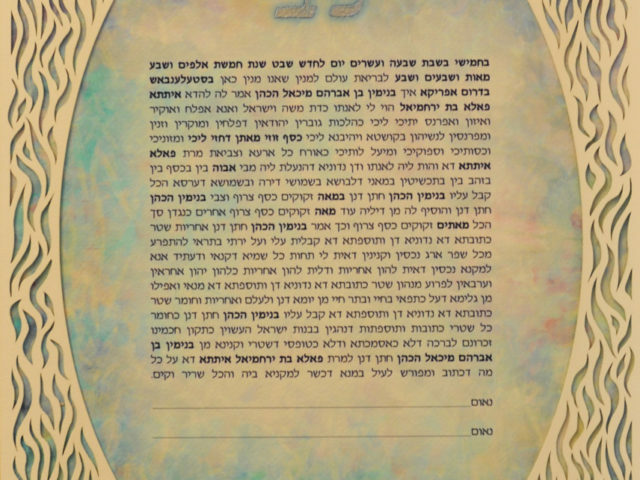 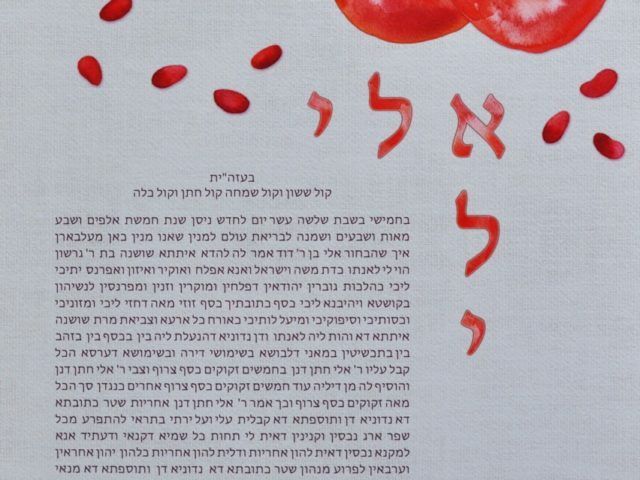 These Ketubah designs are paired with intricate laser cut frames which overlay the background artwork and in doing so, silhouette its edges to create interesting intersections. 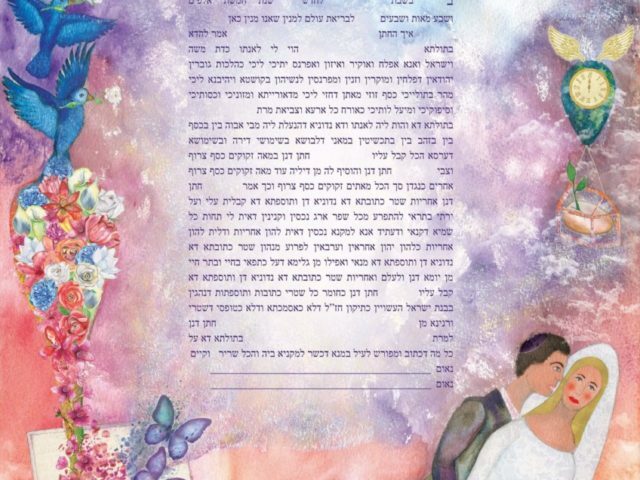 This duet of different layers illustrators that like the marrying couple, the complementary differences are combined together to form a complete and harmonious composition. 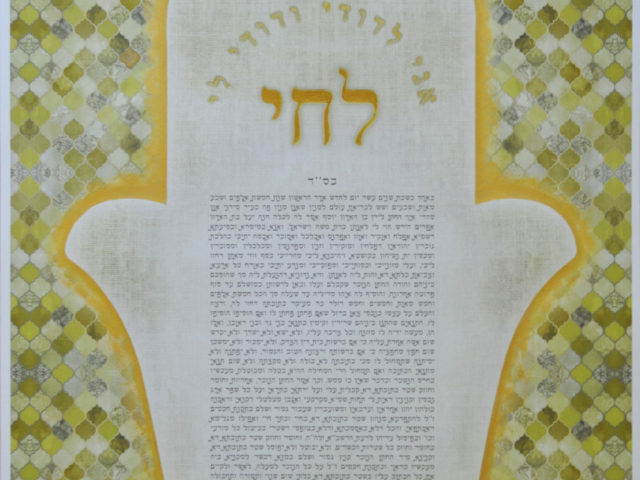 Currently available in an oceanic elliptical frame with soft ripple cut outs, or a geometric angular tessellated frame.